Now having already started the procurement for Pay and Display Machines, along with this TRO before the matter goes to the Business Overview and Scrutiny Committee for investigation, how are we to believe that this is not already a done deal. Wirral Council has announced that grants for pensioner lunch clubs in the Borough are to be scrapped from April. The move, which has taken place without full consultation, will affect around 200 pensioners, leaving many of them alone at home. 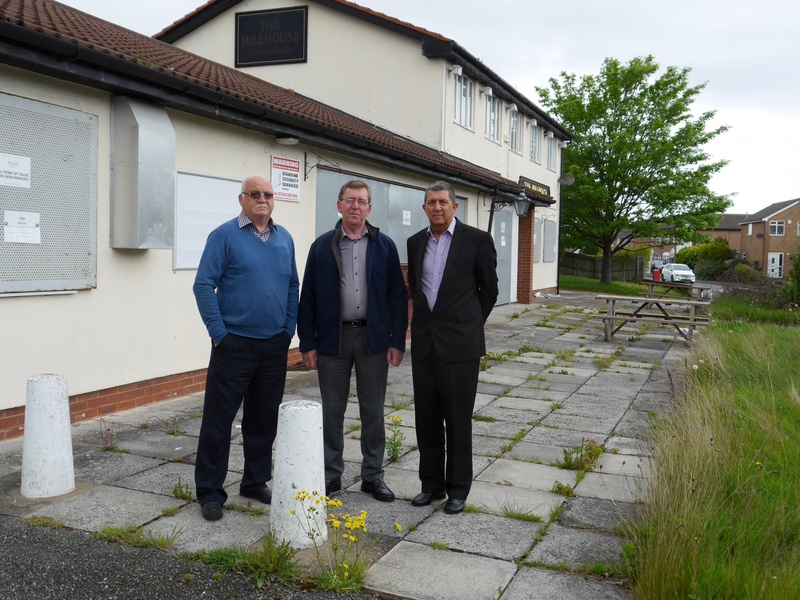 The Council has said the £72,000 saved will then be reinvested in tackling pensioner isolation. Among the lunch clubs affected are Moreton, Leasowe, New Brighton Community Centre and Vale Park. The clubs, which take place throughout the week are held in local community centres and often run by volunteers. The Council’s grants help towards the cost of transport for the pensioners and the costs of the meals. Councillor Bruce Berry (Conservative, Moreton West & Saughall Massie) said: “This decision has been sneaked out without virtually any consultation among the groups affected and there is now less than six weeks to find alternative funds or face closure. Live in New Brighton, Moreton, West Kirby, Heswall, Liscard, Bromborough, Bebington, Upton or Irby? – Will you be paying to park outside your house? Last night I attended a Council Business Scrutiny workshop. One of the items, and perhaps the most emotive was the proposals to increase the Council’s income by increasing car parking charges by 50p per hour at existing Council car parks and to introduce further car parking charges, on street and off street at nine locations across the Borough, as well imposing a £4.00 per day fixed charge at Wirrals Country Parks. While I am waiting for further detail the hit list for the nine locations for introducing car parking charges is: New Brighton (including Fort Perch Rock), Moreton, West Kirby, Hoylake, Heswall, Liscard, Bromborough, Bebington, Upton and Irby. The charges are likely to apply to many on street areas in our towns, so a an example in Moreton the two car parks, Holt Avenue and Garden Lane as well as on street charges on Hoylake Road, Upton Road, Pasture Road etc. In West Kirby, along the promenade, The Crescent, Grange Road, Banks Road and side roads, In Hoylake on Market Street and the side roads etc; and so it goes on in other towns. The Country Parks include, Wirral Country Park, Royden Park, Arrowe Park, Eastham Country Park etc and at £4.00 per day that is going to disadvantage thousands of people who simply want to visit for an hour or so, perhaps dog walkers etc. I am aware that New Brighton resident, Darren May had the foresight to see this coming and last week started an online petition opposing the introduction of parking charges in New Brighton. I would urge people to sign that petition ASAP and it can be accessed by clicking HERE. I am sure other people will also be setting up petitions and you may want to sign them as well. One thing is for certain we need to send a very strong message to this Labour-led Council if we are to stop this decimation of our Towns and Parks. Will car parking charges increase in Wirral and extend to other parks and open spaces? Now tried this a couple of years ago and it caused uproar and outrage with people coming together, petitions being signed to tell this Labour lot where to get off, and thankfully that people power resulted in the plans being dropped. Now we need everyone to come together again to oppose this madness. I am aware that one New Brighton resident, Darren May has already started the ball rolling with an online petition to oppose charges being implemented at Fort Perch Rock. You can sign that petition by clicking HERE. Other friends groups may wish to set up their own petitions whether online or hard copy. One thing is for certain we need to harness people power and send a message to this Council. Sign this Petition to Help Protect the Elderly and Infirm! On December 15th, 2016 Wirral Council refused planning permission for a fire station on green belt land on Saughall Massie Road, adjacent to sheltered accommodation at Woodpecker Close. The application was refused for various reasons, one of which was to protect the amenity of those residents who live nearby in the sheltered accommodation in Woodpecker Close, one of whom is a D Day veteran who, I am told has also been awarded France’s highest military honour, The Legion de Honor. In 2014 the Leader of the Council withdraw a brownfield site in Greasby to protect a much loved green space and the amenity of local residents. I think it is only right that the Leader of the Council treats the residents of Saughall Massie fairly and equitably and withdraw this green belt land from any future development. Withdrawing this land will also remove the stress, anxiety and worry from the elderly, and in some case infirm residents of Woodpecker Close. Sadly the Leader of the Council has in an email response to me refused to withdraw the land, so please add you signature to our PETITION try to force him to change his mind.